St Leonard’s Church has an outstanding interior with Arts & Crafts fittings and stained glass. Middleton is a town in South Lancashire, now Greater Manchester. Its historic centre sits on a low hill overlooking the area. It is dubbed the ‘Golden Cluster’ because of the outstanding quality of the heritage clustered there. To the immediate south of this is a largely modern shopping area, so it is a place of two parts. 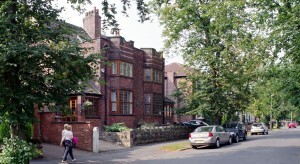 Historically rural, Middleton is now largely suburban with two large leafy estates dominating. Alkrington Garden Village, to the south, was one of the first garden suburbs in the country designed by Thomas Adams of Letchworth Garden City fame. Langley, to the north west, is one of the last planned garden suburbs built in the 1950s by Manchester City Council. 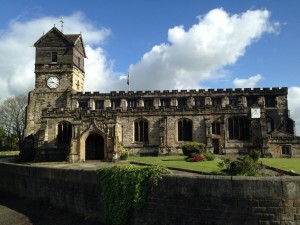 Middleton is significant for the quality of its architectural heritage with several outstanding buildings – a medieval ‘hall’ church, a Renaissance school, one of the first Palladian houses in England, a pioneering Victorian church and the first modern movement board school in England. Schools are a speciality with the Golden Cluster containing five, roughly one for each historic period from medieval to modern times. For most of its history, Middleton was a large country parish of eight townships spread across northern Manchester towards Bolton. A town began to develop only in late Georgian times with the building of two small estates of hand loom weavers houses. Cotton and silk factories quickly followed and the Middleton of today began to emerge. However, Middleton had a radical tradition, which in Victorian times sought to retain the rural qualities of the area. 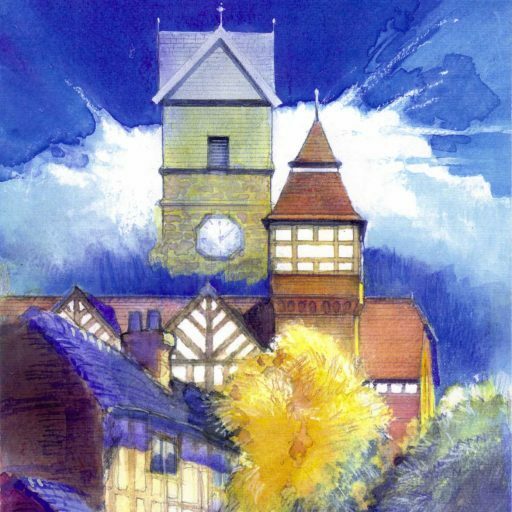 Consequently, today’s historic centre is full of green spaces complemented with Arts and Crafts buildings designed by Edgar Wood, the internationally important architect. In the Victorian era government was reorganised and Middleton lost five of its townships to other boroughs – Pilsworth, Ainsworth, Ashworth, Birtle and Bamford and Great Lever. However, the remaining three, Middleton, Hopwood and Thornham gained two new ones – Alkrington and Tonge formerly part of Prestwich. 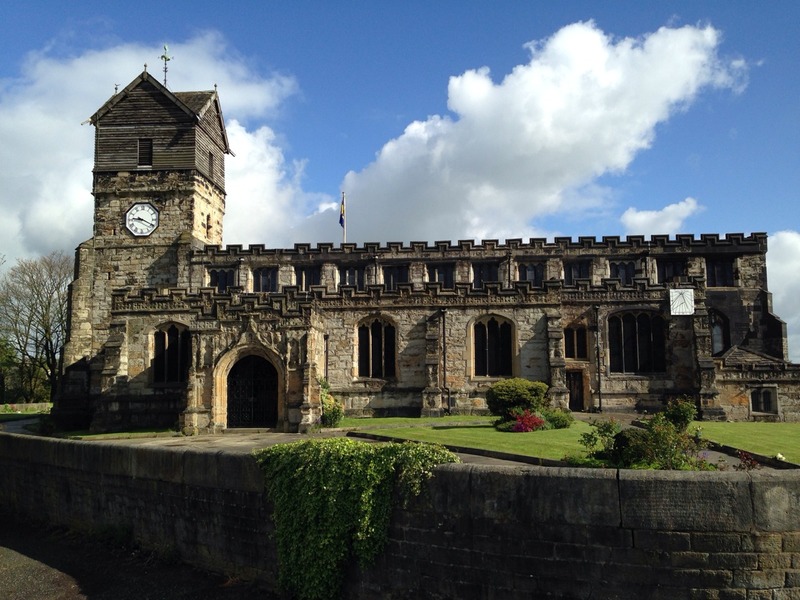 In 1974, Middleton became part of the Metropolitan Borough of Rochdale so was reunited with Ashworth, Birtle and Bamford, though they are now considered as Rochdale, having previously been part of Heywood. Middleton is justly proud of its heritage of buildings and notable people.